This is a square Dririte Clothes Dryer porcelain sign. This particular Dririte Clothes Dryer sign is blue with white and yellow text. 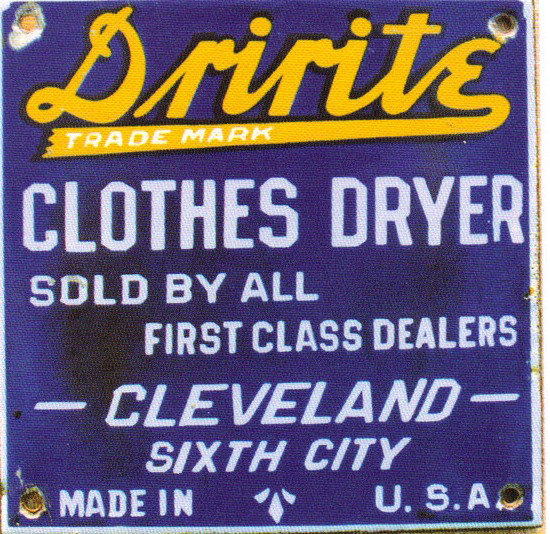 It reads, “Dririte Clothes Dryer, Trade Mark, Sold By All First Class Dealers, Cleveland, Sixth City, Made In USA”.